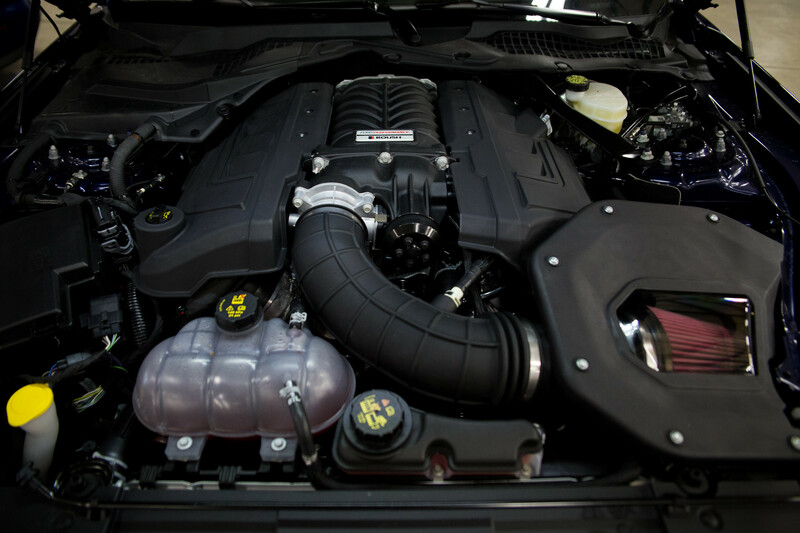 ROUSH Performance unveils its highest ever horsepower Phase 1 Supercharger system for the V8-powered 2018 Mustang GT. The combination of the 2018 5.0-liter engine and our all-new, fully integrated 2018 Phase 1 Supercharger system yields simply incredible, no-compromise performance. A storied history in powertrain development between ROUSH Performance and Ford Performance continues with today’s availability of the new 2018 ROUSH Phase 1 Supercharger kit for the V8-powered 2018 Mustang GT. Thanks to a larger 2.65L front-feed design and hours of development, the new ROUSH Performance Phase 1 Supercharger delivers 700 horsepower to the Mustang GT. It’s backed by a three-year, 36,000-mile limited warranty when installed by a ROUSH authorized dealer or an Automotive Service Excellence-certified technician. In addition to 700 horsepower, the supercharger is capable of 610 lb-ft of torque at 12 psi of boost on 91-octane fuel for either manual or automatic transmissions. The kit is part of ROUSH Performance’s TVS (Twin Vortices Series) line. The kit comes with all installation hardware and exclusive performance calibration. ROUSH Performance offers an industry leading warranty with its Phase 1 Supercharger system because the individual parts have been designed and tested at the component level for extreme durability, reliability and emissions compliance. For more information on the 2018 ROUSH Performance Phase 1 Supercharger system, visit ROUSH Performance. About ROUSH Performance: ROUSH Performance, a division of Roush Enterprises, designs, engineers and manufactures completely assembled pre-titled vehicles, aftermarket performance parts, and superchargers for the global performance enthusiast market. Based in Plymouth Township, Michigan, ROUSH Performance was founded in 1995 by motorsports legend Jack Roush. Visit us at ROUSHperformance.com or call 800.59.ROUSH. The kit comes with all installation hardware and exclusive performance calibration. ROUSH Performance designs, engineers and manufactures completely assembled pre-titled vehicles, aftermarket performance parts, and superchargers for the global performance enthusiast market.